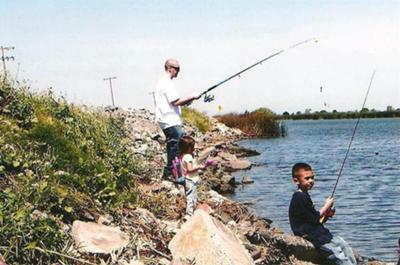 This is a picture of me and my kids fishing from the bank of the California Delta in Stockton, along with the owner of this Freshwater Fishing website and my brother, Jason. He takes us fishing a few times here and there and its fun for us to do as a family together. Thanks bro!!! This picture is from a while back, a few years ago huh? There were too many of us to get out on a boat that day just for a couple hours. Besides, that was a nice little fishing spot to fish from the bank. It was a nice day and the kids had fun. Thanks for bringing this photo and moment back to surface. Great post. Just what I was looking for, and I am looking forward to reading your other posts soon!